Keeping Everyone Comfortable from Ruth K. Burke on Vimeo. 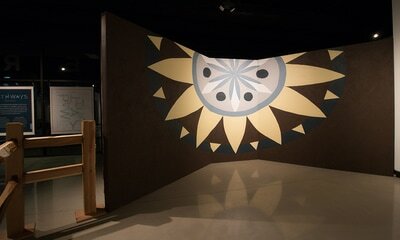 ​8' x 6' x 22'. 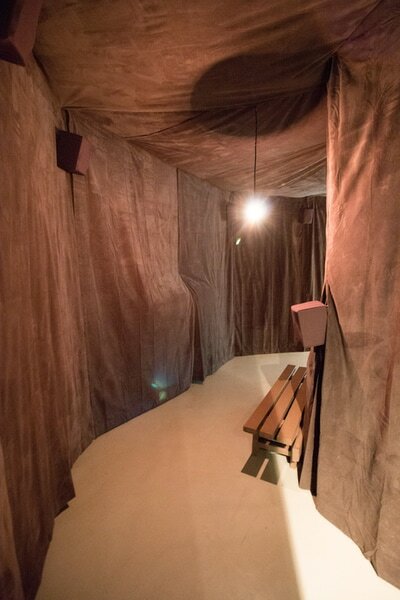 ​​Keeping Everyone Comfortable is an eight-channel sound installation housed inside a “barn breezeway”. The installation distills the sensory and auditory experience of sitting down to hand milk a cow. Sounds of a woman singing and conversing with her cows (a common milking practice) during the twice-daily ritual, are then woven through eight speakers spread over the 20' corridor. In the middle of the breezeway sits a milking bench, flanked by two ear-height speakers at each end. 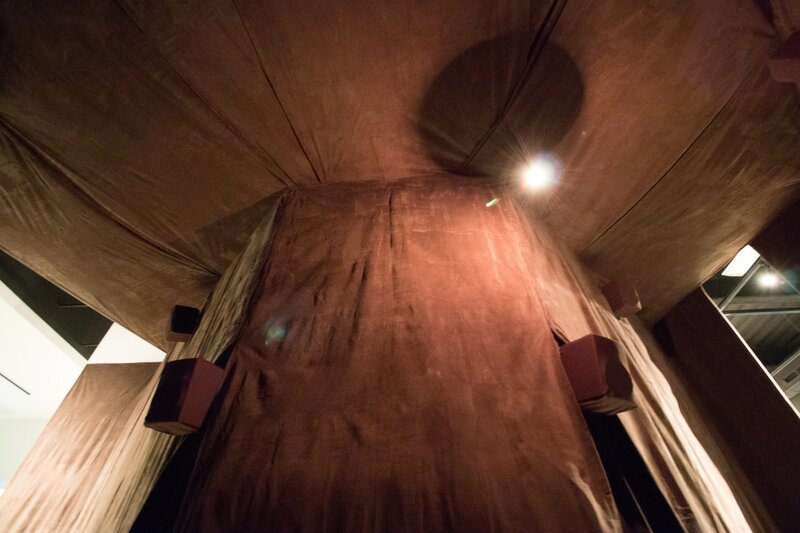 Behind the bench and on the opposite wall are heated protruding forms, composed of foam and heating pads to reference the sensation of being next to a 1,000 lb animal. Recordings were taken over the course of four months at Firesign Family Farm in Whitmore Lake, MI. With technical assistance from Isaac Levine. Gracious thanks to Ruth Ehman.